Motocross and kickboxing enthusiast Luna Bijl’s stratospheric rise to the top has already gained her international recognition in many ways, including being listed on Models.com’s ‘Hot list’ and ‘Top 50 models’. 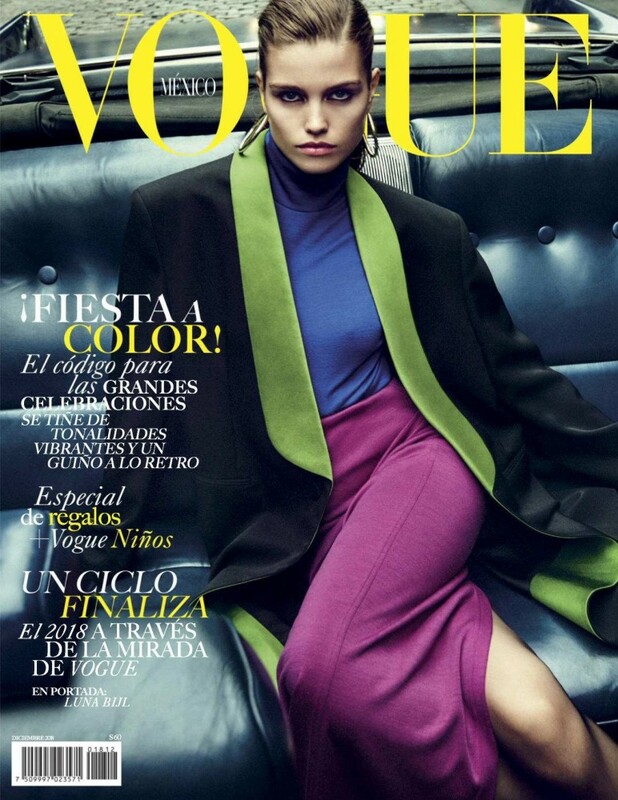 The 20-year-old Dutch native is the first model to consecutively secure two Vogue Paris covers in one year (both shot by David Sims and styled by Emmanuelle Alt), plus also counts campaigns for Chanel, Fendi, Tom Ford Fragrance, Topshop, Frame, Joseph, Louis Vuitton, Chloe, H&M, Hugo Boss, Net-a-Porter, DVF and Emporio Armani as credits. Not only do these strong campaigns demonstrate Luna’s versatility as a model to front a variation of campaigns for both haute couture and commercial clients, but they also prove that her work ethic never faulters. Editorial credits include covers of Wall Street Journal by Cass Bird, Document Journal by Mario Sorrenti and main fashion shoots within the pages of American Vogue, i-D, Self-Service, W Magazine and British Vogue. Luna has also walked for many prestigious designers, during AW19 she closed for Karl Lagerfelds last Chanel show, plus walked for Balmain, Fendi, Off-White, Brandon Maxwell, Isabel Marant, Moschino, Marc Jacobs and Oscar De La Renta to name a few. Luna’s beauty, endearing down to earth nature and effortless style has seen her gain an Instagram following of over 116K, which is vastly growing by the day.